1. Where's the "Styles magic"? PPV main-events, star-studded title scene, screen time every week on SD Live, none of it matters as much as the quality of matches being delivered in the main event picture. When Styles first competed for the WWE Championship prior to the brand split, he and Reigns produced what were widely regarded as Reigns' best series of matches till that point. A few months later and he was tearing the house down alongside Dean Ambrose, John Cena and even Shane McMahon. To put it lightly, Styles has been missing that edge ever since he won his second world championship late last year. His last great PPV match is considered to be the one with Lesnar at Survivor Series 2017. 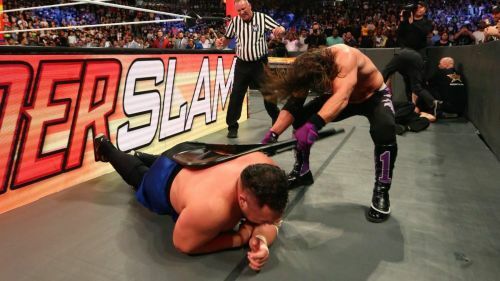 Although his Last Man Standing match against Nakamura at Money in the Bank earlier this year was very good, they had so many underwhelming matches to get to that point, that the damage was already done by that time. In addition to that, the screwy finish to most of his PPV matches in 2018 (including both his recent matches against Joe) and you have some widely anticipated dream matches that were ruined under the burden of creative bankruptcy. Whether it's on the company or the performers, the WWE Championship needs the brightest spotlight and in case of Styles, he has all the tools to deliver big when it matters the most. It is his time to show exactly what made his first title run so good and besides, it's high time that the WWE title picture feels (pun intended) Phenomenal again.